Will your existing electricity infrastructure support Electric Vehicle Charging? Do you have the space for rapid or standard charge parking? What might be the return on your investment? We can help you decide if EVC is right for you. Effective EV Charging comes from making the right decisions about power management and then having the facility to monitor and manage your power use. We can help you get it right. As a specialist division of a successful electrical business, Freemantle EV are a first choice installer of EVC systems. From single to multiple units, from domestic wall chargers to a lane of stand-alone fleet chargers, we can install and maintain your system. From fuel stations and service stops to food outlets, taxi ranks and hotels there’s the potential to generate a new revenue stream using EV Charging. We can help you manage your income with integrated reporting and more. Most importantly, the installation of your new electric vehicle charging point must consider the impact on the existing infrastructure and suitability of your supply. We can provide you with a free survey to determine all your earthing and equipotential bonding arrangements are adequate, conduct a simultaneous contact risk assessment, verify (subject to intrusive inspections), the capacity and feasibility for your new installation and contact the relevant Distribution Network Operator (DNO). We can provide you with recommendations for power management solutions for required load shedding to maximise the distribution of your power and amplify the wasted use of vehicles parked in bays following charging. Do you need EV Charging in a hazardous area? We are CompEx certified to carry out an assessment of the suitability of your electric charging point. Our surveyors are all City and Guilds L3 qualified in electric vehicle charging facilities and we’re a registered NICEIC approved contractor. Based on the available electrical supply, we can offer power management solutions tailored to your requirements. The power can be diversified to nominate different loads to each vehicle based on their charge status, consumption, VIP or charging capability. …have a single limited electrical source of supply to be utilised? …have a working building and need to manage the total supply? With this solution, the nominated supply diversifies the power for the use for each vehicle based on the available designated electrical supply. With this solution, in real-time monitoring, a meter monitors your building (or infrastructure) demand and allocates the load according to the upstream usage. This provides a very convenient way to protect and future proof your new assets and electrical supply. As an NICEIC approved contractor and preferred Heathrow Airport supplier we pride ourselves on the quality of our workmanship and that we’ve built our reputation on delivering quality work and services…. first time, and every time.  We’ve created our own Work Safe, Home Safe initiative which ensures a responsible, safe attitude in our conduct and the execution of our work. Our health and safety procedures and thoughtful, common sense approach keeps everyone safe on and around our work sites. We offer full turnkey solutions from project management, surveys, feasibility studies, design, cable management, installation, physical protection, civils, engineering solutions, through to on-going maintenance and support services. This breadth of skills, experience and capabilities positions us as your ideal one stop contractor for the delivery of competitive and trusted solutions. We can also provide on-going support for EVC billing and utilities consumption as well as providing remote and reactive assistance for spares and repairs. With the growing demand for managing the electrical supply and consumption, we offer full package solutions that give you all you need to efficiently manage the usage of your supply. These management and monitoring features allow you to use power efficiently and, if you’re using your EV Chargers as a revenue stream, these management features help you to maintain maximum profitability. With RFID or token/voucher capability, you can manage who uses your charger and create billing opportunities, not only based on consumption but also based on the duration of time on charge if that approach suits you better. Time charging is a viable way of reducing the impact of charged vehicles being left in charging spaces should that be an issue. You may wish for this to be integrated into your current billing system, or you may prefer to create a stand-alone, easy to manage, profitable revenue stream. And, if your need is only to manage, monitor and audit your own fleet’s power consumption and charging needs our systems put the right tools at your fingertips. We’ve invested heavily in staff training and qualification, worked closely alongside leading Electric Vehicle Charger manufacturers and gained approved installer/supplier status with both manufacturers and customers, such as Schneider Electric and Heathrow Airport. As a firm with ISO certification, we bring all of those QA skills and practices to our EV division. As well as specific EV and EVC skills and qualifications, we have in Freemantle all manner of specialist skills and experience. When an Electric Vehicle Charging project demands input from health and safety specialists, confined space engineers, construction engineers and the like, we have the people and resources to hand. We think that our reputation, built by a highly skilled and motivated workforce, combined with the breadth of knowledge in the business has been invaluable in establishing our position as the Electric Vehicle Charging installer of choice for businesses such as Heathrow Airport. We’re also delighted to have been approved by the Department of Transport under the Electric Vehicle Homecharge Scheme. Michael Deans, EV operations manager at Freemantle EV, presenting EV charging development for Heathrow to the leaders of industry at the mechanical engineering regional meeting. 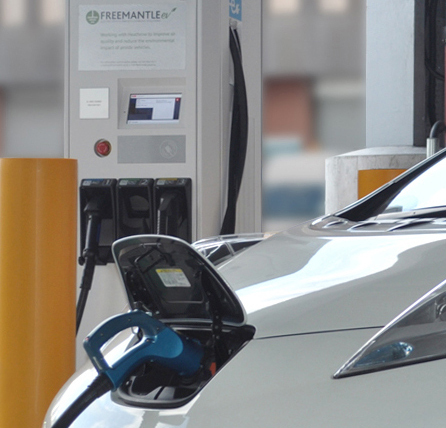 Freemantle EV is a specialist trading division of Freemantle, an electrical, mechanical and building contractor specialising in airports, commercial, industrial and high worth domestic contracts. Freemantle have always been ahead of the pack in terms of staff training and securing specialist skills, qualifications and certification. Having started exploring the implications and potential of EV’s and EV charging some time ago, we’ve trained our staff and established dedicated workflows and processes that will allow us to become a major player in this field. We’re delighted to have already become a Heathrow Airport Approved Installer of EV charging systems and to have installed the first wave of EV charger units airside at Heathrow.